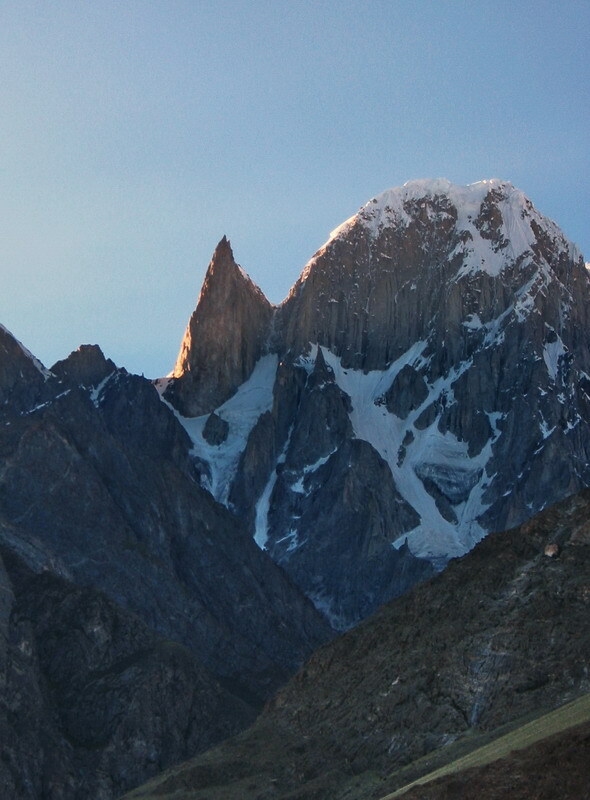 Ladyfinger Peak, is a distinctive rock spire that rises precipitously above the Hunza Valley to the southeast. notable for being a sharp, relatively snowless rock spire among snow peaks. This, combined with its height above the valley, makes it quite eye-catching; hence the distinctive name. It is seen here from the Ultar Meadow which can be a day-trek from Hunza.